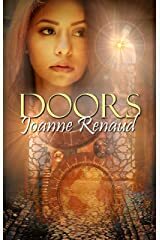 Joanne Renaud, who earned a BFA in illustration from Art Center College of Design, has been writing, drawing and painting as long as she can remember. 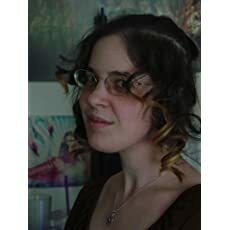 She went to college in a variety of places, including Northern Ireland and Southern California, and enjoys history, comics, children's books, and cheesy fantasy movies from the '80s. She currently works as both an author and a freelance illustrator. 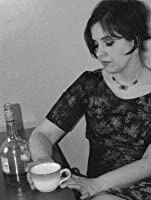 Her novel "A Question of Time" was released in November 2012 from Champagne Books, and her illustration clients include Simon & Schuster, Random House, Houghton Mifflin, Macmillan-McGraw Hill, Harcourt Inc., Zaner Bloser, and GOS Multimedia. Cocky Cockers Anthology out now! I have a new story out– a historical romance novelette called A Great Wide Blue Stillness– one of the many great featured romance stories in the COCKY COCKERS anthology, a new charity anthology out now! There comes a time in our lives where we look for something new, something that bends the rules, something that is sure to ruffle some people’s rooster tails. Introducing The Cocky Cockers in all its cocky glory! So the March Mayhem giveaway is officially over now– but we will announce the winner soon, as soon as I’m back from New York. Thanks to everyone for entering! March Mayhem! Spring is here, and it’s time for March Mayhem! Fifteen days… five authors… and the chance to win a fabulous swag basket with prizes from Donna Thorland, Lynne Connolly, Kat Parrish, Kat Laurange, and me! Here’s the second romance novel cover post I managed to dig up from the old blog. Enjoy! I have some good news for you guys! About three years ago, I wrote a series of posts about romance cover art, with lots of pics. However, I lost it all when my web provider nuked my blog from orbit (that is why I moved to Tumblr). However, I was able to recover a bunch of posts recently. Here is the first long-lost Retro Romance Covers post, with more to follow! REVIEW: Jacobin’s Daughter by Joanne Williamson - Dear Author: I review Jacobin’s Daughter on Dear Author! I’ve read a lot of horrible books in my time, but For Such a Time is by far the worst book I’ve ever read. Warning: triggers and spoilers ahead. GUEST REVIEW: Love Amid the Ashes by Mesu Andrews - Dear Author: I’ve done a few reviews on Dear Author (like this one of Bella Street’s Mid-Century Mayhem) and my review of Love Amid the Ashes is my latest. Enjoy! A quick sketch I made, ‘writers block fantasy’, for the book ‘A Question of Time’ by Joanne Renaud. These are the main characters Celia and Alan, who I adore. What&apos;s so shocking about The Cure? GUEST REVIEW: Mid-Century Mayhem by Bella Street: Dear Bella Street, Your new time travel romance Mid-Century Mayhem is a really interesting book. However, even though it’s categorized as a time travel romance, it’s more of a time travel adventure… My B+ review for Bella Street’s MID-CENTURY MAYHEM is now up on Dear Author. Check it out! 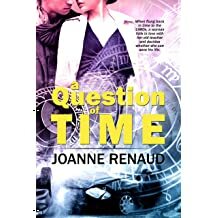 "A time travel romance for the ‘80s girl in all of us, Renaud’s debut packs the emotional punch..."
A Question of Time Interview and Giveaway: Kat Laurange is hosting a giveaway to win one e-book of A QUESTION OF TIME, plus a $10 gift certificate! Comment by the midnight of December 28th to win. 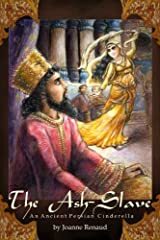 Book Review: A Question of Time: Today, I’d like to introduce to you, my reader(s? 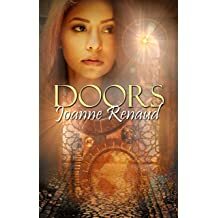 ), one of my favorite stories, a go-to comfort read when I’m feeling down and need an injection of happiness: Joanne Renaud’s time-travel romance no… Kat Laurange (aka capnflynn) reviews A Question of Time. I’m so pleased by her wonderful and thoughtful review! 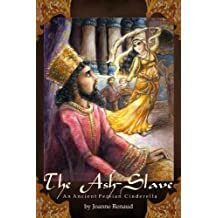 And this weekend, on December 20th, Ms Laurange will be hosting a giveaway of AQOT on her blog, as well as a $10 Amazon gift certificate. Alan Forrest pin-up Here’s some sketches I did back when I was working on my time travel romance A Question of Time (including an aggressively ‘80s pin-up of Alan I did on request). Also, there’s now a whole host of extras now available in the Extras section: like the fanart, a wonderfully purple excerpt from '80s SF novel Medra, and a scene from Alan’s POV. 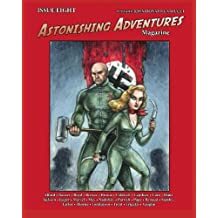 Get your free short stories here! Hey guys! 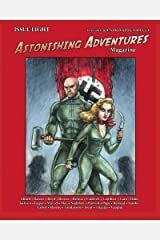 I just wanted to remind you that I have a couple of free shorts here (for online reading and for download). Writing update November 2014: or, State of the Joanne, or, Dude, where&apos;s my Book? 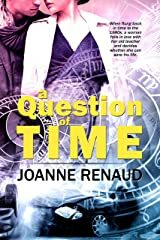 Can you believe it’s been two years since my debut romance A QUESTION OF TIME was published? Time sure flies when you’re working two jobs! The jobs, alas, do not involve writing. One is essentially a full time position; the other is my freelance illustration career. Unfortunately writing often gets the short end of the stick. I originally wrote this blog post back in 2010 on my ancient blogspot blog; and here it is revised, expanded and updated. It used to be that I could only think of eight romances that would get on my top ten list; that was why it was only originally eight. But since 2010, I’ve read a lot more romances, and now it can easily be expanded to ten. Enjoy!